Why chose Ellis for your Mold Remediation. Ellis had no desire to enter into Mold Remediation until we were faced with it. During a typical carpet cleaning inspection and quote Andy Ellis found Mold in a crawl space. Our client called in a mold specialist for inspection and quote. The price was so high they could not afford to hire them. Ellis was challenged to look into solving their problem. Certified Mold Inspectors & Contractors Institute. Ellis has resolved countless mold problems since then. Were already Carpet and Duct cleaners along with being water restoration specialist, Mold remediation was right in line. When I think about it you need to know how the mold arrived meaning water intrusion in order to stop the chances of this happening again. So your contractor needs to know about water restoration along with carpet and duct cleaning. 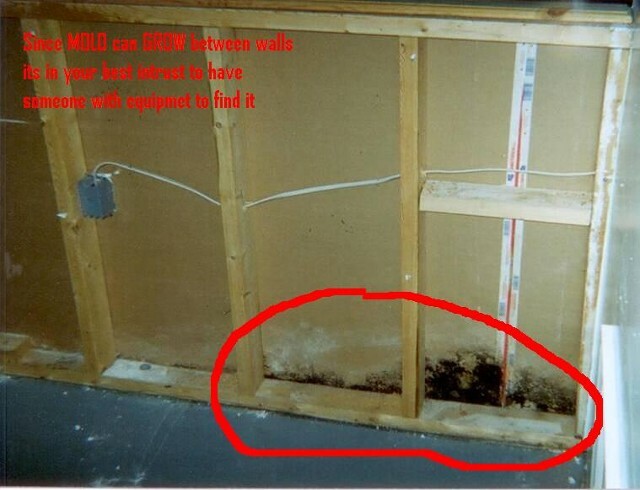 Since Mold is a microorganism there will be no doubt mold will be found in your carpet and ductwork. In order to perform a quality Mold Remediation process a contractor needs to be fully qualified and equipment in Water restoration, Carpet Cleaning, Duct cleaning and Mold Remediation. Ellis is trained and has the equipment and experience in all the above. Ellis follows the Protocol called out in IICRC S520 for Mold and IICRC S500 for water damage. Ellis uses the latest technique, such as soda blasting etc. Ellis writes a Remediation Plan to follow as a course of action.